When two giants of site-specific installation art, coming from two distinct backgrounds, meet within the same exhibition space, it is bound to be interesting to explore their different, exciting approaches to the matter. 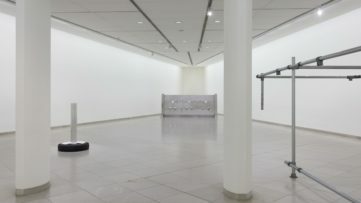 At Blum & Poe, the first show in Tokyo in twenty years dedicated to American artist Robert Morris, who will share the spotlight with Kishio Suga, a prominent member of the influential Japanese Mono-ha group. Their two installations, Lead and Felt and Parameters of Space respectively, will now be exhibited together in order to provoke a dialogue on the art of materials and the ways they can be used to communicate both physical and metaphysical ideas and visions. 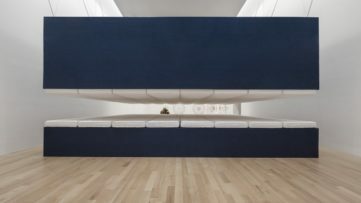 Through artworks that helped define Minimalist sculpture, Robert Morris plays with the notions of gravity, exploring the effects it has on ordinary objects. Through the use of rigid materials at first, and softer matter later, he creates art in space, carefully observing their interaction, questioning how tension influences his pieces. 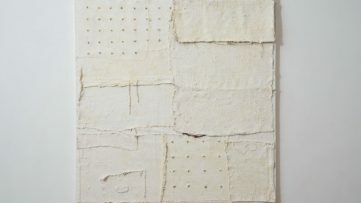 The artist focused much of his attention to felt, which he piled, stacked and hung from the wall in order to test its abilities, along with other industrial raw materials such as dirt and thread waste. 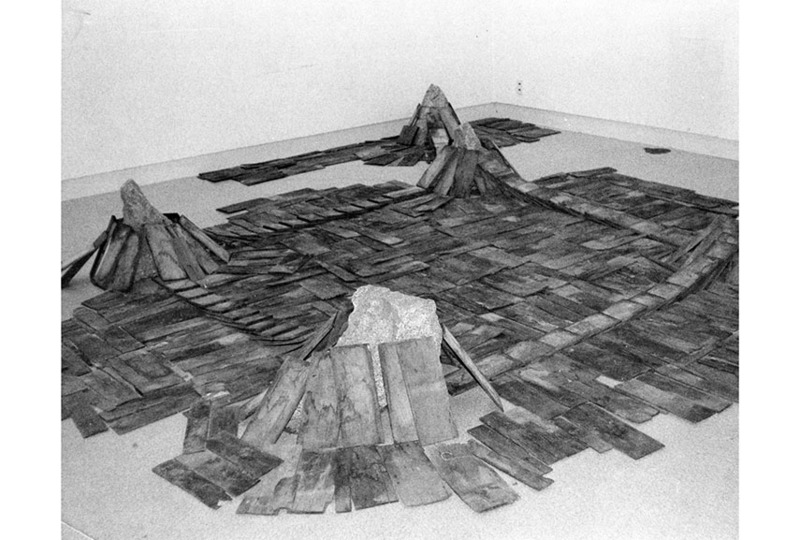 The intentions of Robert Morris were to scratch the surface and discover indeterminacy, and one of the central works in that discovery was Lead and Felt, the 1969 installation originally created for an exhibition held simultaneously at Castelli Gallery and Castelli Warehouse in New York, along with three other works. It consists of individual pieces of lead and felt cut into L-shapes and laid on the ground in an apparently random order. It was eventually discarded, but also remade in 2010, and that example will now be on view at Blum & Poe Tokyo. Across the Pacific Ocean, Kishio Suga was examining natural and manmade materials. The Japanese artist is constantly tackling topics of “situation” and the “activation of existence” by putting together different elements and materials together in curious compositions. Kishio Suga has given life to sculptures made of paraffin wax (Parallel Strata, 1969), woven glass fiber floating on a lake (Law of Situation, 1971), as well as wooden boards and rocks, for the 1978 piece Parameters of Space. In this artwork, he goes to set up boundaries, edges, parameters that will later be deconstructed. Like Robert Morris’s piece, this installation was also discarded after an exhibition, at Gallery Saiensu in Morioka in 1978, but it was remade once in London in 2013. Kishio Suga’s artworks are never intended as exact replicas, rather they are always based on an original core concept, as they remain flexible in scale and the number of their components. In their common goal to materialise their visions in specific locations, Robert Morris and Kishio Suga pose a discourse about anti-form, chance, intent, impermanence, containment, giving the viewers an insight into two various ways of working – ways that go beyond the typically Euro-American-centric narratives of Modernism. The exhibition of Robert Morris and Kishio Suga will be on view at Blum & Poe Tokyo from March 12th through May 7th, 2016. The opening reception is scheduled for March 12th, from 6pm to 8pm. 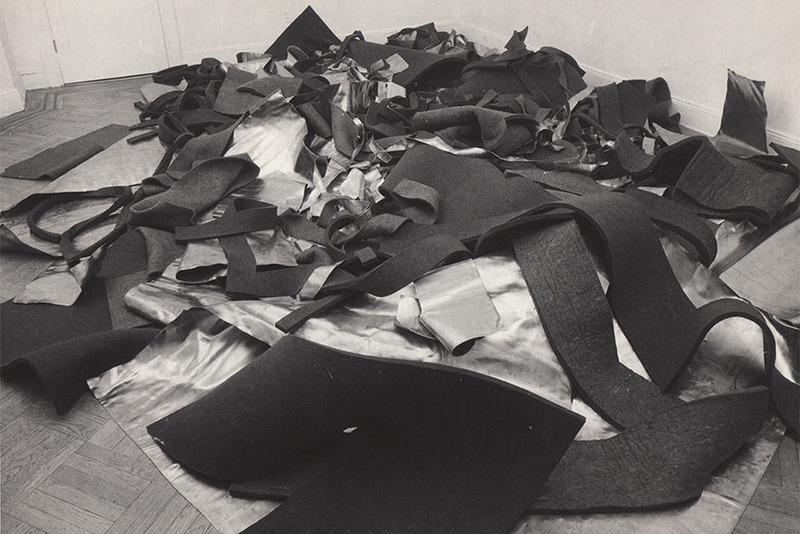 Featured image: Robert Morris – Lead and Felt, 1969. 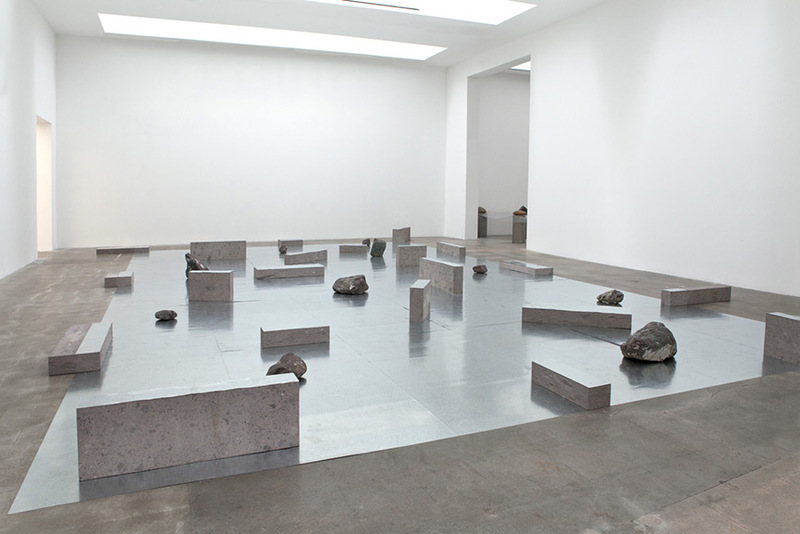 Installation view, Castelli Gallery, New York. 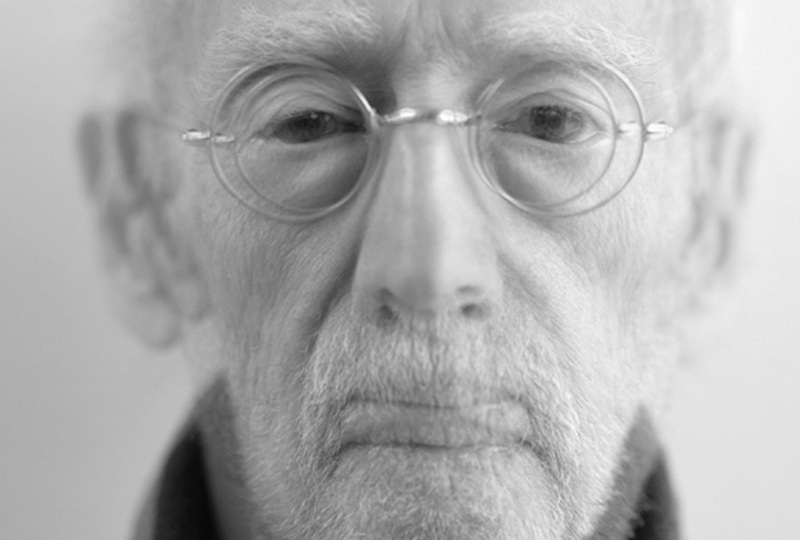 © Robert Morris / Artists Rights Society (ARS), New York. Courtesy of the artist and Blum & Poe, Los Angeles/New York/Tokyo. All images courtesy of Blum & Poe.